Visual perceptual skills are needed for so many functional tasks! Writing on lines, copying written work, reading without skipping words, walking in a crowded hallway, organizing materials, pouring water into a cup without spilling, searching for a paperclip in a junk drawer...everything done throughout the day requires the ability to visually process information. For the child with visual perceptual difficulties, struggles persist in many areas! 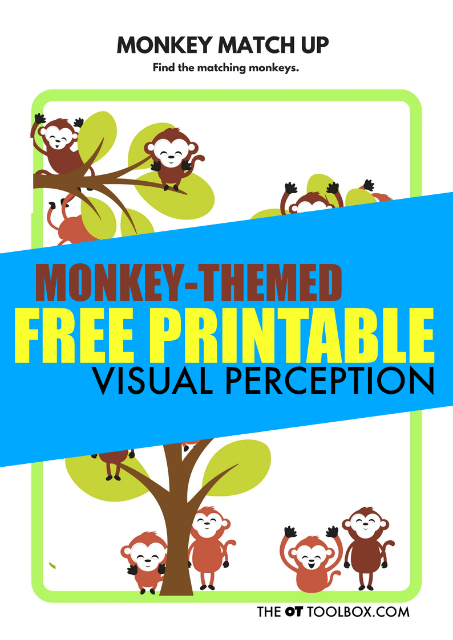 That's why I wanted to share a series of free visual perception worksheets that can be used to address many visual perceptual skills. 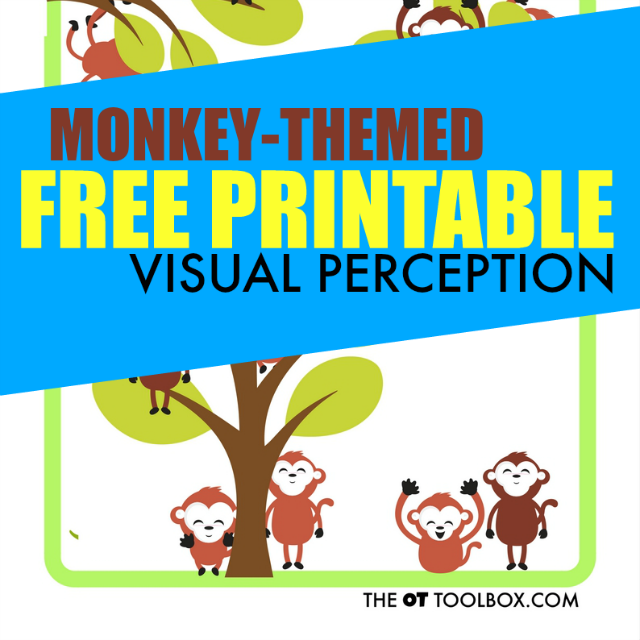 This visual perception free worksheet has a monkey theme. Find more visual perception worksheets like our free visual perception dinosaur worksheets and this space visual perception puzzle. Print this free visual perception worksheet and laminate it or use it in a page protector sheet with a dry erase marker. You can use the page over and over again. One tip to try is to use the page right on a tablet screen, like we did with this Wacky Wednesday visual perception activity. How would you use this visual perception worksheet?